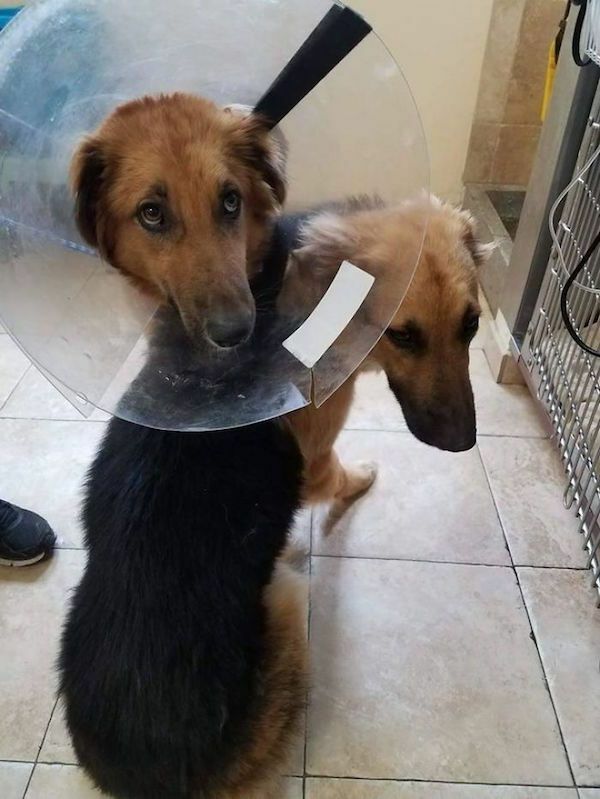 Sick Shelter Dogs Refuse To Be Separated, Then Staff Takes 1 Pic That Changes Their World Forever. When life gets rough, it’s good to have a friend by your side. 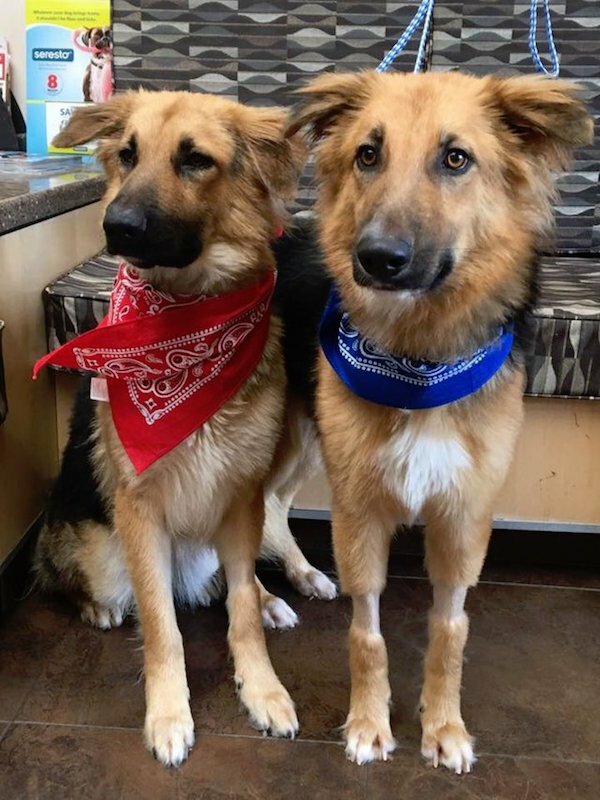 For German Shepherd best friends Adonis and Apollo, all they have is each other. 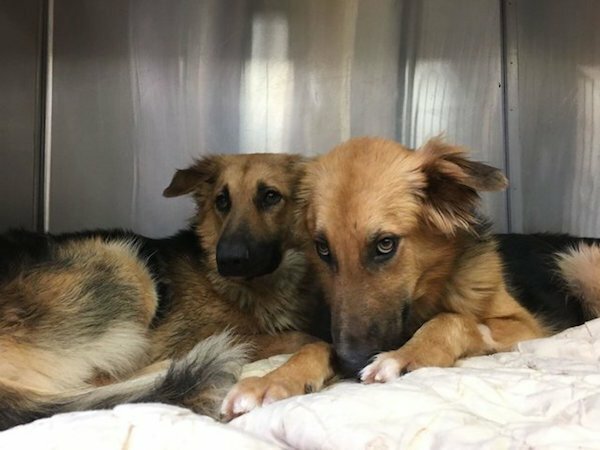 The dogs grew up together, but were surrendered to a high-kill animal shelter when their owners could no longer care for them. 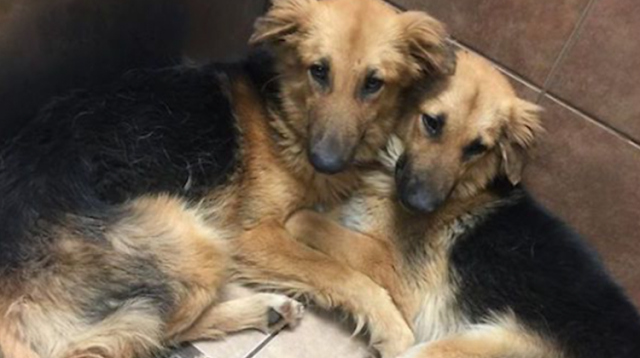 Shelter staff put them in the same kennel, but were heartbroken by their behavior. Both pups were terrified and shaking with fear from their ordeal. From the moment they were left alone, Adonis and Apollo would not stop hugging each other. Shelter staff snapped some photos and posted them online where they went viral overnight. 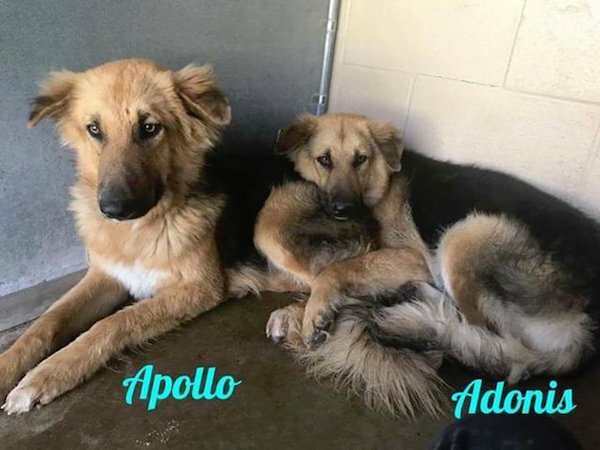 A no kill animal rescue called A-Team Elite Rescue Dogs out of Long Island heard about Adonis and Apollo and decided to take them in. 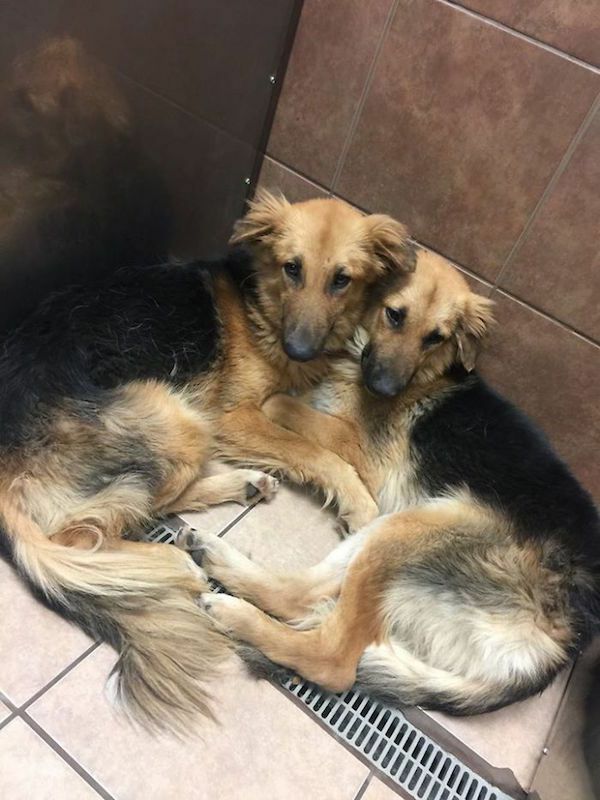 The duo were checked out by a vet and diagnosed with heartworms, common in Texas and likely the reason they were given away. 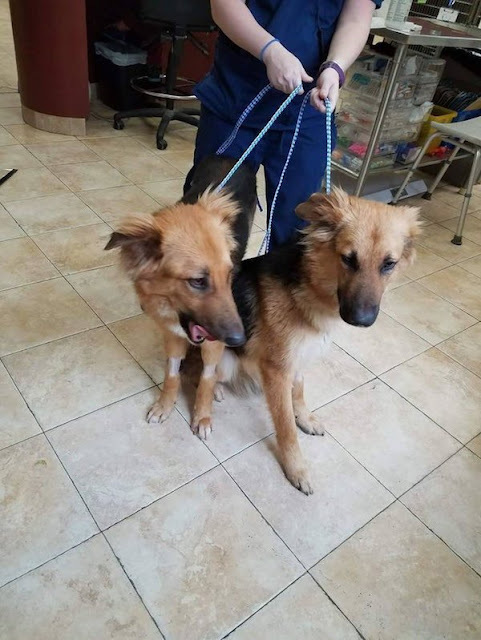 They were put on a basic treatment plan and cleared for adoption… but rescue staff were concerned their ailment was enough to scare forever families away. The A-Team took to Facebook and posted about the dogs. Within hours, a woman named Jennifer immediately applied to adopt them. 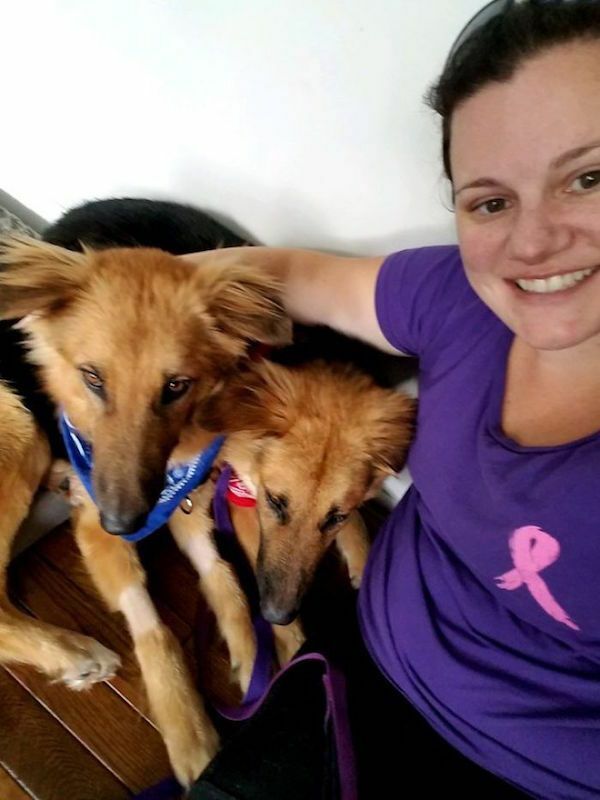 Jennifer drove all the way to the shelter to take the pups back home – where they had acres of land and 2 other rescue dogs to play with. 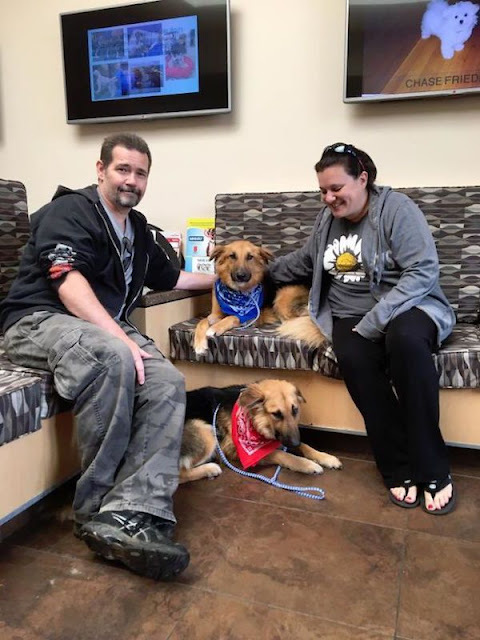 In a scary turn of events, Adonis got scared of the new surroundings and ran away… but less than 24 hours later was reunited with Apollo and his new forever family. We are so very glad that Adonis and Apollo found their forever homes. Not everyone is able to rescue… but if you ever get the chance, adopt don’t shop! Share and spread their story.